1" wide x 1⅞" long x ½" deep Set of three holly leaf plunger cutters. Cut out the shapes without pressing the plunger, or use the plunger to emboss a design and eject the shapes. Plastic. 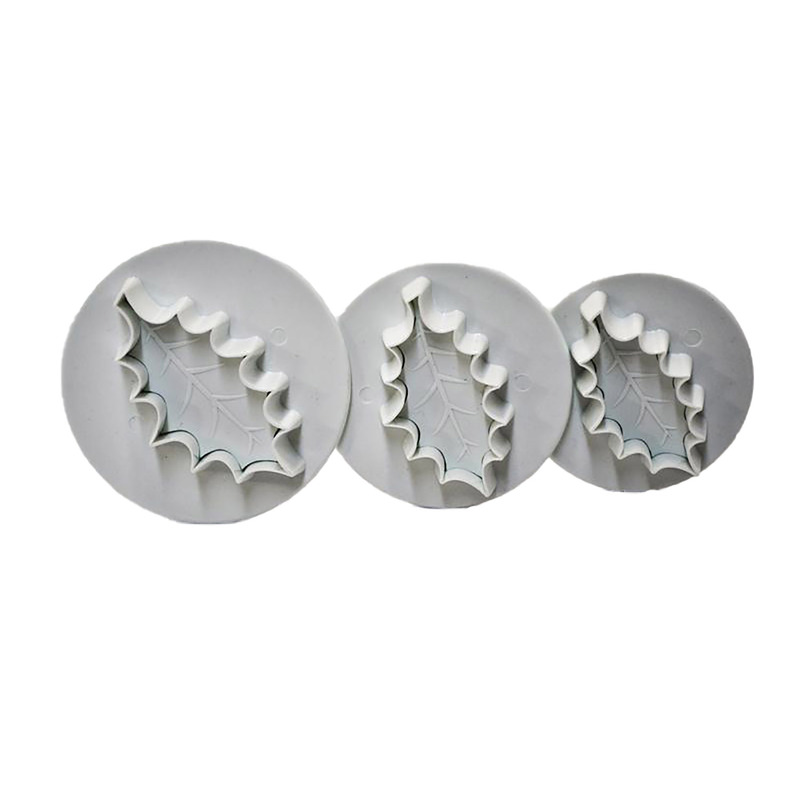 Set of three holly leaf plunger cutters. Cut out the shapes without pressing the plunger, or use the plunger to emboss a design and eject the shapes. Plastic.